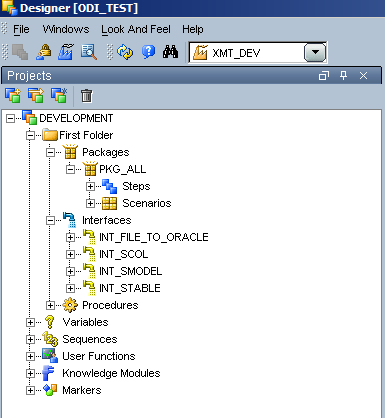 The easiest and smartest way to organize multiple objects in ODI Package is to select them and right click to select the appropriate Alignment option. When you have multiple Interface under a folder and you would like to go for a quick search , just expand the folder and start typing your search and the match would be highlighted. 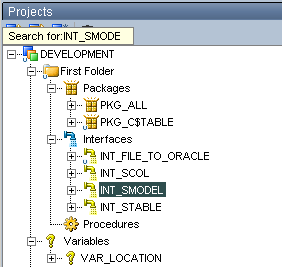 Please find a screenshot of the example ,as you can see i was searching for INT_SMODEL and the particular item is highlighted. Here i was looking for DB2/400 LKM and the particular KM is highlighted. 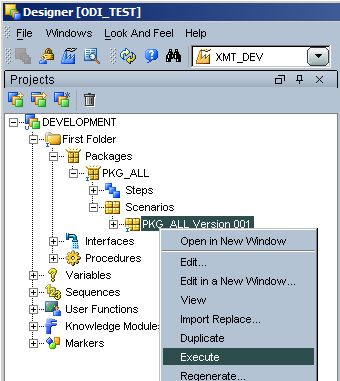 Step 2 – Export the models as shown above and you will find all the exported objects are created as XML Files as shown below. 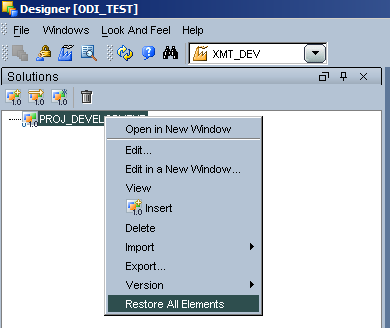 Lets now move the objects to the other ODI_TEST [ DWR ] environment. 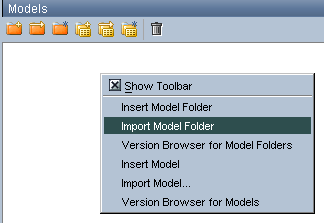 Login into ODI_TEST [DWR] , Right click on the Import Model folder option under the Model Tab. 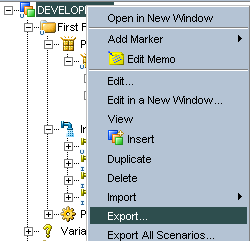 Go the Folder where the objects are created. 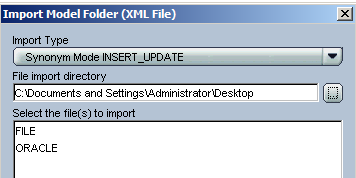 Use only ‘ INSERT_UPDATE’ option as this way it would maintain the internal ID of the objects. 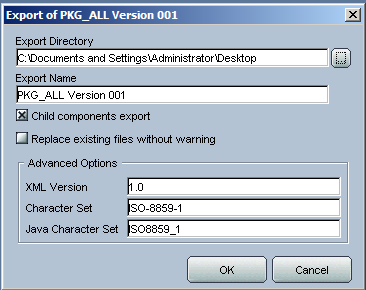 Don’t worry about this warning and click ok.
Repeat the above step to import using the INSERT_UPDATE mode and select the project to be import and as you can see all the packages, interface , KM are also imported . Now lets test the interface for its validity. 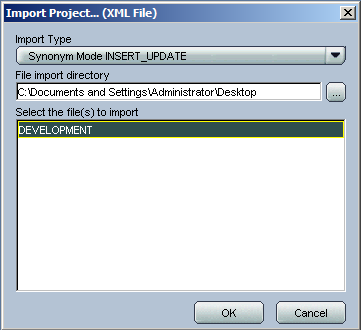 For this example I have not used any variable in that case I would suggest this order for Import. Lets look at the Internal Id of both the environment, they are same , you can compare other objects too and you will find that their internal ID are the same. 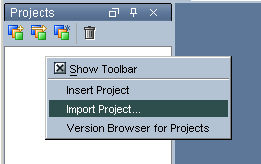 As You can see that , the Project and the Model are created with the required versions. 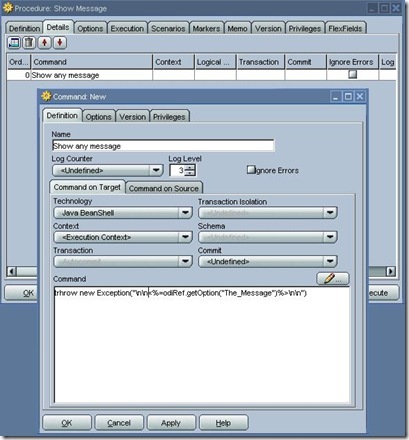 Now Log into the other DWR environment and since the solution is stored in the Master Repository and we have the same Master Repository . The solution will be visible in the other DWR. 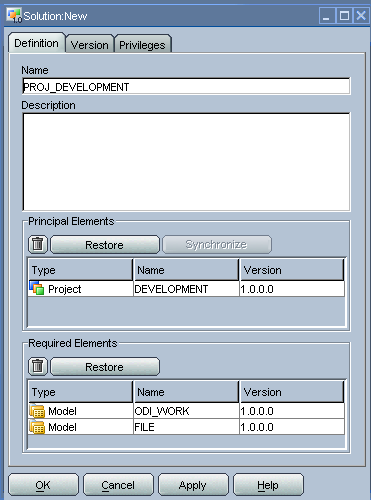 Right click on ” Restore All Elements ” to restore all the objects of the solution. 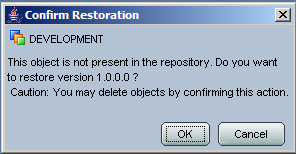 Do so for all the other objects and finally all the objects will be restored to the required version. I ran the package again and it worked. 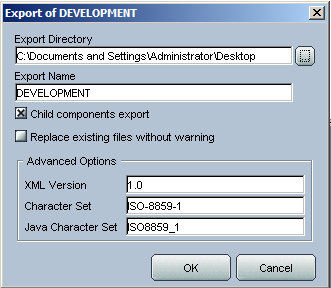 Please find my future post on more best practices and method of Export and Import of ODI Objects. Obs. : When I say “Procedure Step” I mean “Procedure or KM Step” once this objects are almost the same but this is subject for another post. After theory and definitions, examples! But this a example from a KM, could we try something in a Procedure? Before tell you how to implement, let me discuss about a very important issue: How are the returned values “delivered” to Target Tab??? 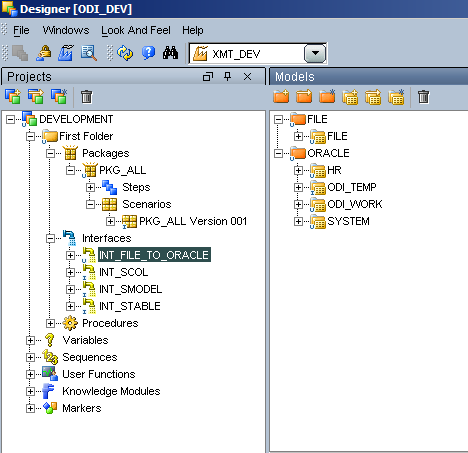 ODI variables exists only in ODI, they aren’t able to exist inside, for instance, of a PL/SQL code in execution at Oracle database. 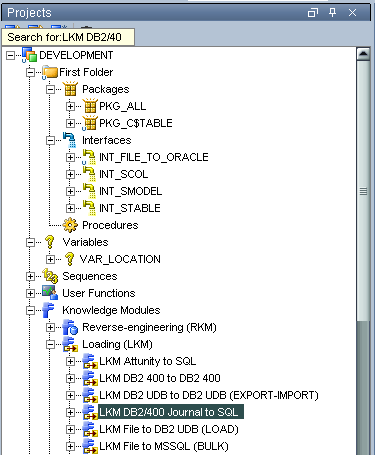 Note that we will send a query from Postrgre SQL to Oracle it means, two distinct RDBMS. 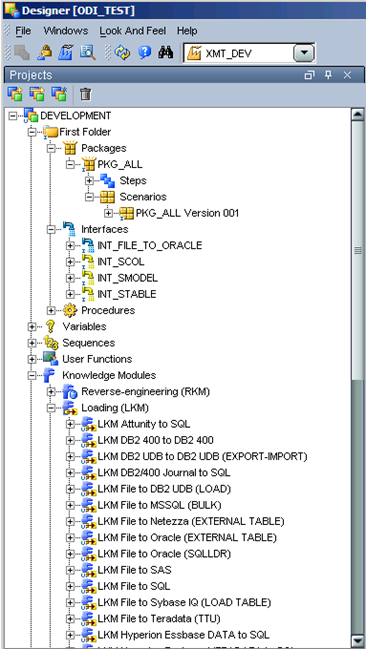 For Oracle people, this explain how ODI can integrate several Oracle databases with no DBLink. 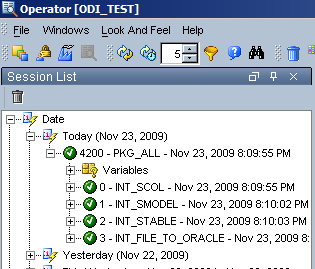 As I mentioned above, ODI will generate the code and send it to the Oracle database, but how to indicate, in the generated code, where use a column from source? 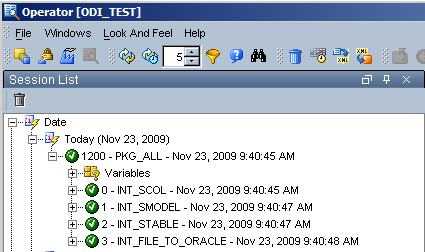 By using the column name prefixed with “:”, ODI understand that is to generate the Oracle code with the equivalent column from Postre query. Well, that is all friends! 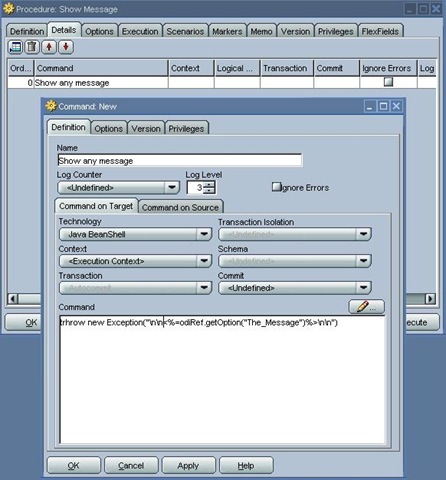 The code at Target tab will be executed some many times as the amount of records returned from the Postgre query. 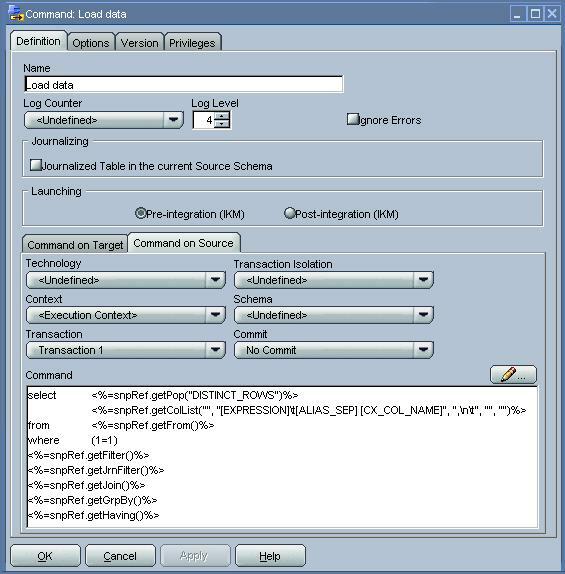 Just remember to setup the respective technology and Logical schema at each tab. What is a Subscriber and how to use it? A subscriber is a way to get the same data, from the same source, to more than one target (or process) when in CDC (Change Data Capture) mode. 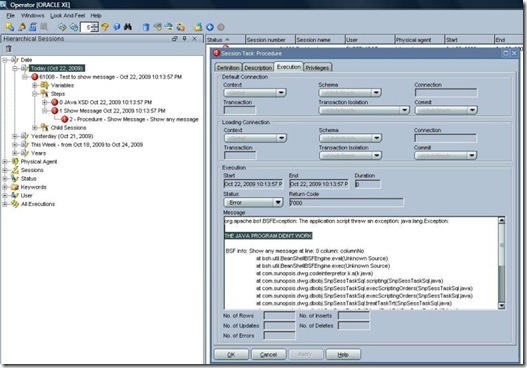 In a generic system, when a new client is created it is necessary to upload into a DW and send a welcome email to him. The DW load happens once a day, by midnight. 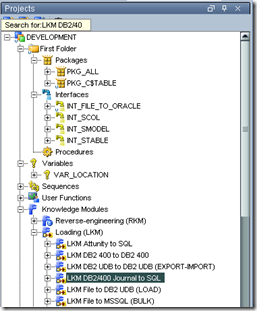 If you take a look into the journal table (J$_) after insert a new record at Client, you will see 2 records at the view, one to each subscriber and that allows you to execute distinct process to the same source DML. That is all! 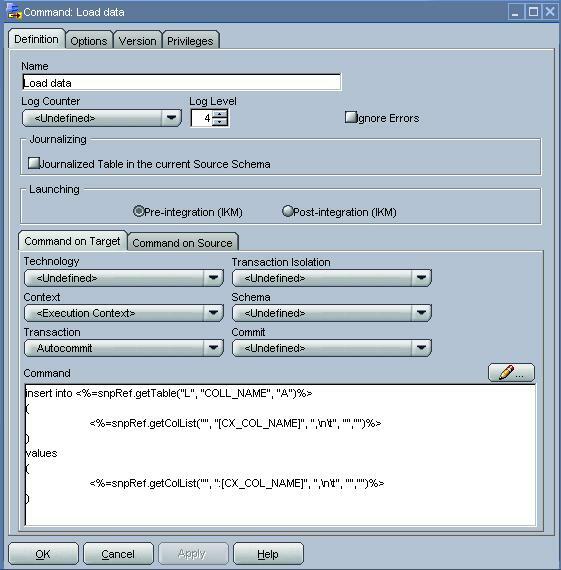 If you query the J$_ table near to 11:00 pm you will see all clients that were inserted during the day with the subscriber “sb_DW” and only the clients inserted after 10:59 pm. 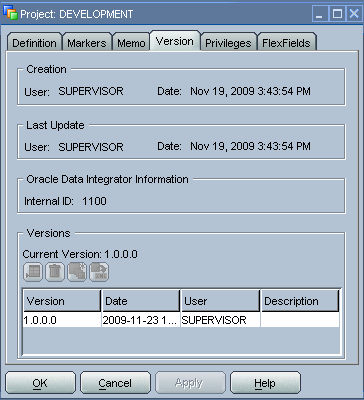 if the situation doesn’t need to send the same data to more than one target, just one subscriber can be used to infinite tables. Well guys, I hope to have reached the objective the explain how a subscriber can be used!! SCHEMA – Schema where ODI inserts and updates the target tables. 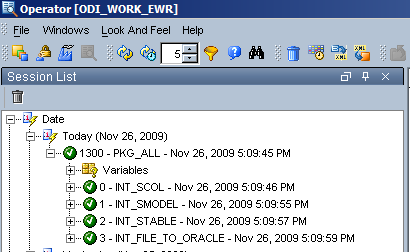 WORK_SCHEMA – Schema where all the ODI Temporary table ( C$_,I$_ etc ) are created and dropped by ODI. 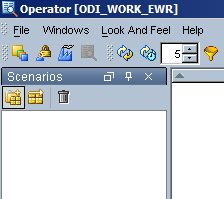 Work Schema is an important part of the ODI Architecture. 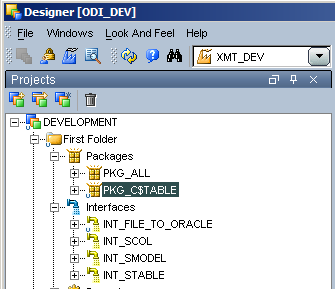 As you all know ODI create Temporary tables, for its loading, integration and transformation from the various source to the target, such as C$_, I$_ etc. These temporary tables can create a lot of junks and ugliness in your target table in the long end. 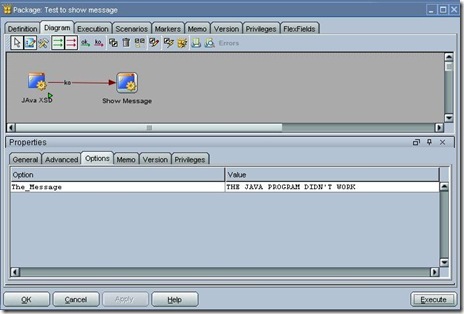 The best solution is creation of separate Database schema or user called “WORK_SCHEMA” or ” TEMP ” or “ODI_TEMP” whatever you wish name as per your environment , but the most important part is how you use it . I very strongly recommend the usage of using this TEMP as ‘ Schema (work schema ) ‘ option in Physical schema for all the technologies. The result and the impact of this is whenever ODI create temporary tables ( C$_, I$_ etc ), you can drop or clean the space of this schema as any time, thus avoiding clutter or temporary ODI tables in the target schema. Let’s see this option diagrammatically. 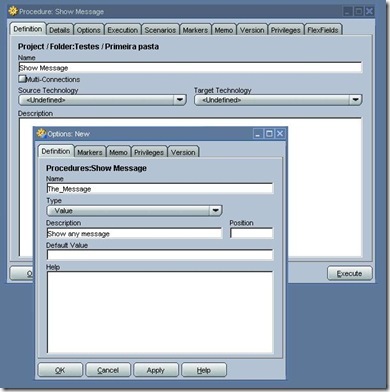 Option 1 – Having the Schema and the Work Schema in Topology same. 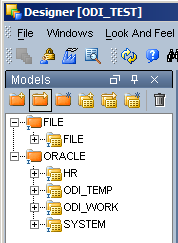 In such a scenario, ODI will create Temp tables (C$_, I$_ ) in the same schema , the result as you can see lots of junk . 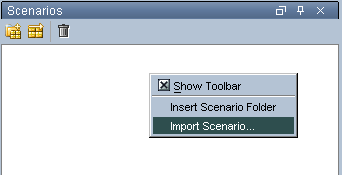 Would you love to have such scenario in your Production box? 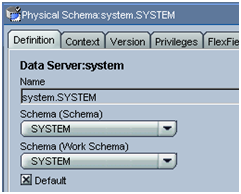 Option 2 – Having the Schema and the Work Schema in Topology different. In such a scenario, ODI will create Temp tables (C$_, I$_) in the different schema, the result as you can see no junks and DBA can drop this WORK_SCHEMA ODI tables at regular interval. 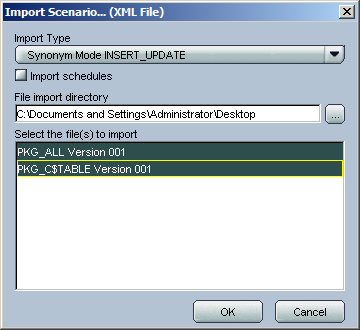 The result presence of these tables permanently in Database unless dropped manually. I have seen companies using such schema with the option “Staging are different from the target” which is not a good practice of using such schema, as you generally developer would forget to use this option. 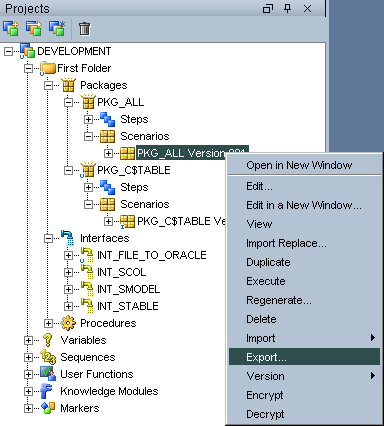 Moreover, its best and easy to implement in topology rather than to use at 100s of interface created and still the Knowledge Modules creates the Temporary schema in the work schema before doing the Insert and Update. 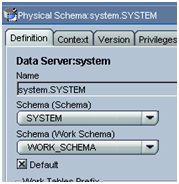 Second advantage of defining in the topology is that, mostly we define the temporary table in the work schema so we would create all the temporary tables in work Schema. 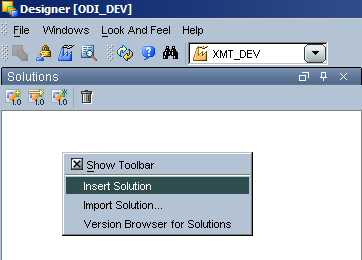 This option can be considered an important aspect in ODI Best Practices. 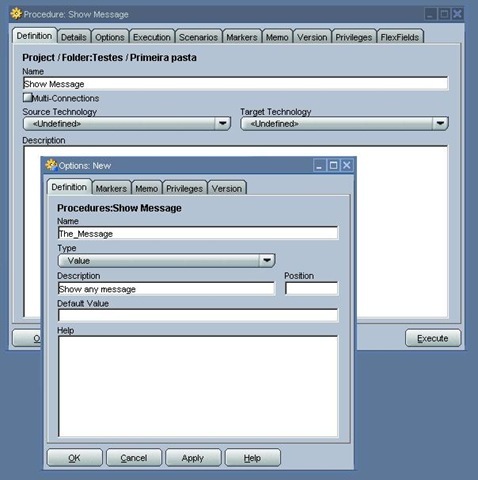 I frequently got emails asking how to do show Business messages on OD and, as there isn’t such feature until version 10.1.3.5, I created a way to have it. It’s just like a magic trick! We will need an “assistant”…. Let me see…. Please, you, the ODI Procedure! Come to stage!!!!! Now the preparation to the magic! That is it! Nothing more! Magic Done! Did you like? OK, now just a small tip! 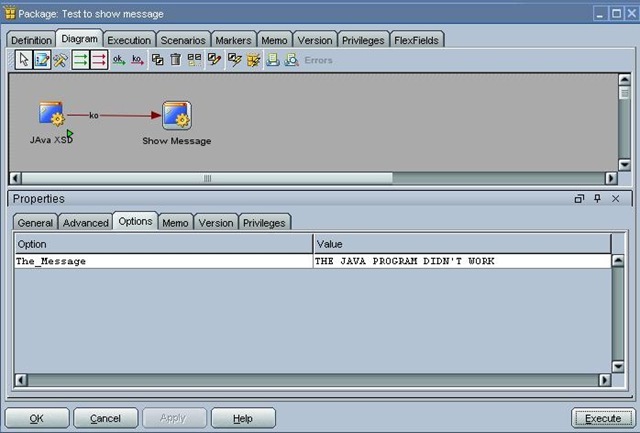 As you see, the “Show any message” step is in RED, that means “The process will be stopped here”. If you wish let it as “Warning” and do not stop the process, click on the checkbox “Ignore Error” in the Procedure step and you can add more steps after the Procedure “Show Message”. Remember that you can use this Procedure infinite times in the same package or any other… Just change the value of the Option. That is very useful to debug variable and gots its value at Operator! Once more, comments are very welcome!!!!! !